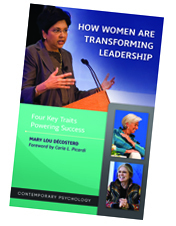 Distinguished leadership author Dr. Mary Lou Décosterd provides an intriguing assessment of men, women and the future of leadership. In particular, Décosterd details women’s pivotal role in continuing to shape how we lead in order to best meet the diverse and intricate challenges of our day. This thought provoking work examines the traits and stories of influential women throughout history to present day in order to make the case that women continue to evolve leadership practices for the better. Dr. Décosterd identifies four key traits that enable women to excel in even the most challenging of leadership roles. 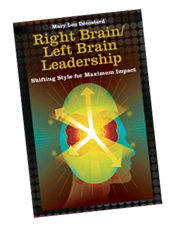 Author Mary Lou Décosterd, is founder and managing executive of the Lead Life Institute, a leadership consultancy firm. 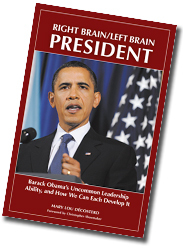 Her other published works include Right Brain Left Brain Leadership: Shifting Style for Maximum Impact, Right Brain Left Brain President: Barack Obama’s Uncommon Leadership Ability and How We Can Each Develop It and the children’s book Magical Max Makes Friends. To purchase individual copies or learn more about the book visit the publisher's site here. To request a review copy or an interview with the author, click here. Excerpted presentation by author Dr. Mary Lou Décosterd speaking to a corporate audience about her newest book, "How Women Are Transforming Leadership: Four Key Traits Powering Success."